30,000 spectators, 122 players, 165 volunteers, 7,000 prizes, a ton-and-a-half of props, instant consignment of photographs and much more. KHL.ru presents a statistical overview of the biggest hockey festival of the year - the Week of Hockey Stars in Ufa. The 2017 Week of Hockey Stars in Ufa enjoyed its grand finale last weekend and it will go down in history for being the first event to encompass matches featuring the finest players from three leagues – the Kontinental Hockey League, the Women’s Hockey League (WHL) and the Youth Hockey League (YHL). Every fan who witnessed the event, be they one of the thousands who travelled to the Bashkir capital and watched from the stands or one of the multitudes who followed the drama from a distance, will cherish their own unique and priceless memories of the Week of Hockey Stars. To measure the depth of the impressions made on all the fans is a task that would defeat the finest minds, but a look at some selected facts and figures can be highly illuminating as well as fascinating. Starting with the action on and around the ice, the YHL Challenge Cup, WHL All-Star Game and KHL All-Star Game boasted a combined total of 122 players, 14 coaches (including the four popular TV commentators who worked as guest coaches) and 12 referees. Obviously, when judging the quality of the contests themselves, we must look further than merely at the number of talented and famous names. We must consider the sporting element, particularly the competitiveness of the matches. 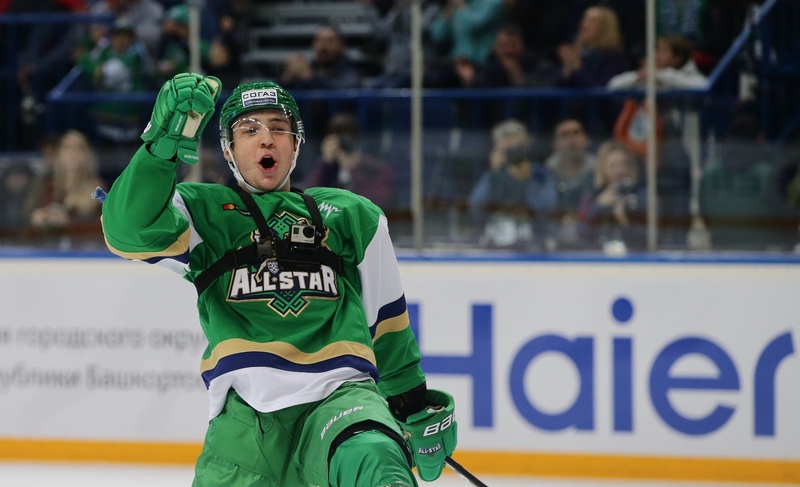 All the games were highly intense battles, and three of them – the YHL Challenge Cup, the first KHL All-Star Game semi-final and the big final itself – finished with a winning margin of just a solitary goal. Moreover, the Challenge Cup was such a hard-fought affair that it had to be decided in the shootout. The first Women’s Hockey League All-Star Game in Russian history will linger long in the memory, not least because the West kept the opposition off the scoreboard with an emphatic 4-0 triumph over the women from the East. As for the Master Show, not only did it thrill the fans, but it also gave us a new record in the first event of the evening, the Fastest Skater The previous best lap time was 13.178 seconds, posted by Wojtek Wolski back in 2015, and this was eclipsed in the first outing by Torpedo forward Alexei Potapov, who clocked. 12.952 seconds, but his achievement was soon surpassed by three more players: Francis Pare (Medvescak), Ivan Telegin (CSKA) and the quickest of them all Enver Lisin of Salavat Yulaev, who completed a circuit in only 12,450 seconds. On four of the days in the Week of Hockey Stars there was a near full-house at the Ufa Arena. A total audience of over 30,000 fans came to watch the tricks and stunts from the likes of Vladimir Tkachyov (Ak Bars), Andrei Altiparmakyan (SKA-Silver Lions), Alevtina Shtaryovaya (Tornado), and many other masters of the game. In addition, every fan had the chance to test his mettle as a hockey player in the leisure and entertainment facilities at the arena and the surrounding Fan Zone - comprising a total area of over 2,000 square meters and boasting more than 30 different games and competitions. Those who visited the Coca-Cola stand could try their luck in a simulation of one of the contests from the Master Show, the Hockey Biathlon. 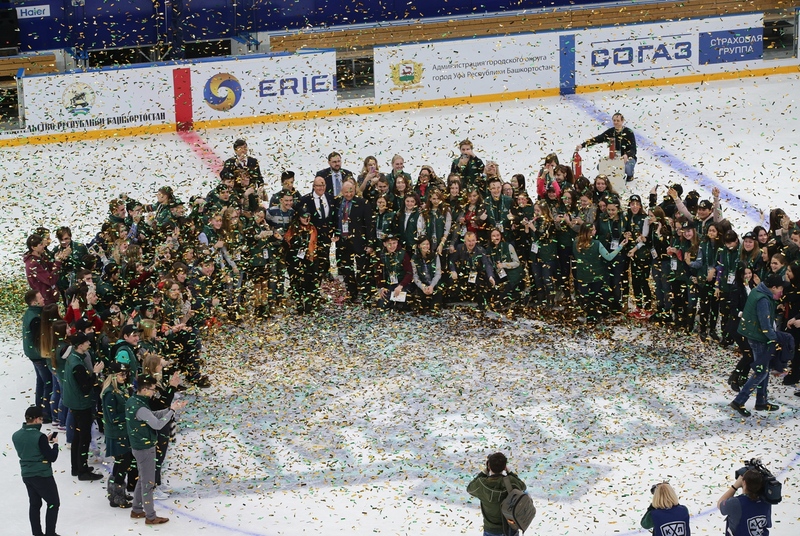 In all, around 7,000 people went home from the event as the proud owner of one or more of the memorable prizes offered by partners of the KHL and the Week of Hockey Stars. 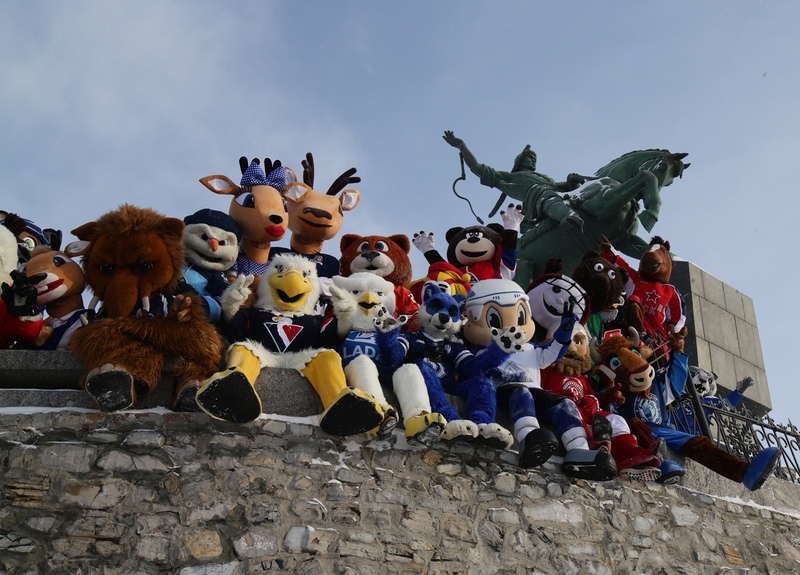 And in addition to pretending to be one of the stars, the fans also got the chance to meet them by attending the popular autograph sessions, featuring Danis Zaripov (Metallurg Magnitogorsk) and Kirill Kaprizov (Salavat Yulaev) plus many of the juniors, to whom around 500 people flocked. The female stars went further, and ventured out to meet the public. Ekaterina Zakharova, Yulia Sadykova and Natalia Vorontsova surprised the fans by visiting 5 hockey shooting ranges in the Fan Zone to give the supporters a master class. On one day alone, the Sunday of the KHL All-Star Game, the fans fired off more than 7,000 shots at the target. One third of the visitors were women, and one in five of the ladies won a prize for hitting 3 out of 5 targets. The visitors ranged in age from 3 to 65 years, although on one occasion an eighteen-month-old toddler grabbed a hockey stick and joined in the fun. Among the battalions of TV production crews working on the broadcasts one could find the finest creative minds and the similarly impressive technical arsenal of the national sports channel, Match TV. Around 100 professionals worked with meticulous care to capture, record, and broadcast images from more than 25 television cameras, including 4 ultra-slow-motion cameras, a sliding “spider-camera,” and cameras worn by the players or embedded in the arena’s ice. Viewers were given that special “part of the action” feeling thanks to the latest virtual graphics, and the event also heralded the debut in Russian hockey of a webcast in 360º format, which on YouTube alone attracted approximately 40,000 people. One of the undisputed highlights of the Master Show – the shootout attempt by Vladimir Tkachyov – has set its sights on breaking records for views, having already reached the 430,000 mark. The size of the audience and the activity of fans on social networks (comments, likes, retweets, etc.) during the Week of Hockey Stars was 50% higher than for the regular season. This was doubtless helped by the KHL Photoagency breaking new ground by using instant transfer of captured images to the League’s server, from where the photos could be downloaded and uploaded to the social networks by LIVE system, thereby providing fans with the latest and most relevant "hot" content. And the sharp drop in the time needed for edited pictures to appear on the KHL Photoblog allowed all the online followers to use the pictures on various information resources. The official website of the KHL also provided a LIVE text broadcast of the Master Show and the All-Star Game, which included many exclusive details from the arena, including ones the fans could not see from the stands, plus TV broadcasts from the locker rooms, from the spaces under the stands, or from the team benches. The content included photos, videos, comments from participating players, as well as live broadcasts via Periscope: an interview with Sergei Mozyakin (11,000 views), joint analysis from Oleg Znarok and Sergei Gimayev of their opponents (6,000 views), and more. As it stands, every LIVE-stream broadcast attracted around 20,000 views. A large-scale sporting event such as the Week of Hockey Stars would be impossible to organize without the joint efforts of a great many people, most of whom remained behind the scenes and therefore out of sight, but still made an invaluable contribution to the preparations and staging of the entire series of events. With great dedication and passion, 165 volunteers gave their time and effort and were much appreciated, while the media contingent numbered around 100 professionals, all devoted to helping the game reach a wider audience. 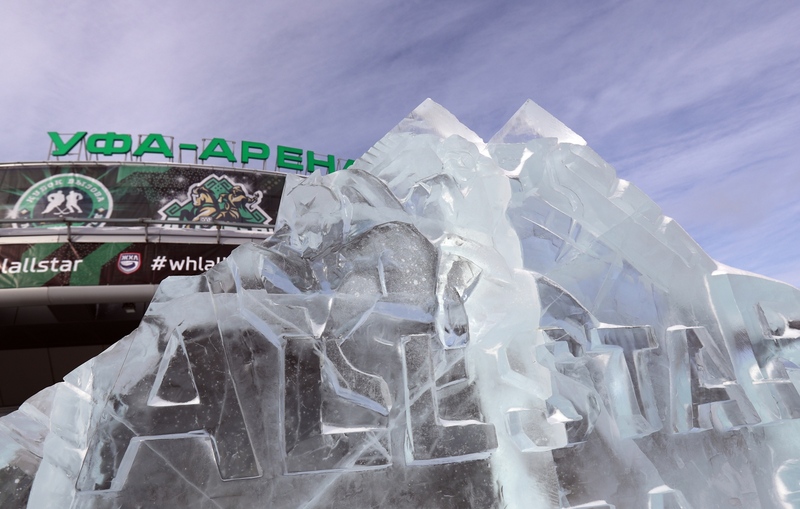 For the various ceremonies held in Ufa it was necessary to bring in 1.5 tons of props and about 14 kilometers of network cable, which is enough to run the entire length of Prospekt Salavat Yulaev, the city’s famous avenue, and back again. In preparation for the event, the Ufa Arena had to be fitted with a new media-cube, a new sound system and new stage lights, and is now the first arena to provide free Wi-Fi for spectators. This might become the event’s most significant legacy for the stadium and the fans who will use it in the future. The amount of data transmitted via the spectators’ Wi-Fi network reached 160Gb. The organizers made a tremendous effort to ensure that none of the supporters who came to the Republic of Bashkortostan for the Week of Hockey Stars would go home empty-handed. For example, KHL licensee Panini gave out 800 free albums and 500 free stickers from their new KHL Season 2016-17 collection. The fans also had the chance to buy from a vast array of licensed products, which are now being worn or displayed by thousands of hockey fans in numerous cities and countries all around the world.